Cycling has never been so rewarding - enjoy your vacation! You’ve made up your mind. Your next holiday will be different — something that challenges, is active, inspires, and perhaps lets you meet some likeminded people as well. Cycling holidays have been a great way to see a destination in a different way for decades now and Mallorca has been a leader in top-of-the-line cycling experiences. Whether for families, rugged athletes, or laid-back honeymooners, there is a bike and a road waiting for you in Mallorca. 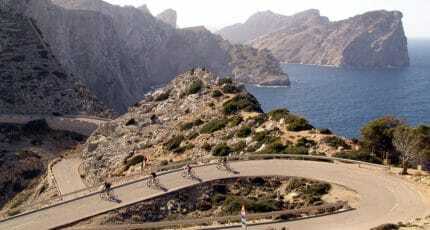 What are the best times of the year for a cycling holiday on Mallorca? 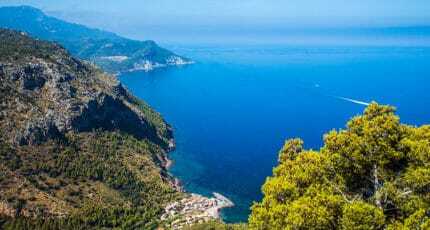 With nearly 300 days of sunshine a year, anytime of the year can be great for a cycling holiday in Mallorca, but the best seasons are certainly spring and autumn, when the weather is not too hot. 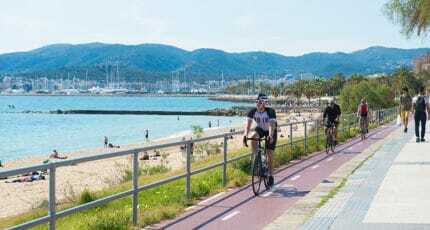 With summer possibly bringing temperatures of 35-40-degrees, and winter, the most rain, spring and autumn are perfect, slightly off-season times to cycle on the island. You love to cycle, but 7am wake up calls and group peddling is not your thing. You can do your own cycling holiday on Mallorca with some easy research and the help of local businesses. There are several places from which you can hire a bike directly on the island, and many deliver to your hotel or rental home. It’s also possible to move across the island by bike — with a transport company delivering your luggage along the way. Other services include maps, bike route recommendations and advice, along with necessary gear from gloves to good sunglasses. 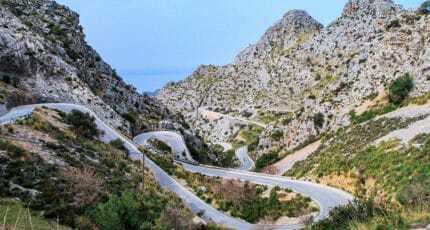 Mallorca is known for its scenic roads, but be sure to inquire about some of the best and least visited cycling routes. You can challenge yourself on some of the toughest roads, but still feel free to stop for a refreshment and go for a swim. With so many low-cost and regular airline companies flying in and out of Palma de Mallorca airport on a daily basis, be sure to compare prices and find the best flight for you. If you go with an organized cycling tour company, they may make arrangements for airport transfers but otherwise, you can research the many ways to book an airport transfer or use the public transportation services available or taxi’s at the airport. In addition, there are dozens of car hire agencies at the airport as well, making it easy to head to your destination and start your holiday. Have a look at our Mallorca at a Glance article to get you inspired and ready to go. 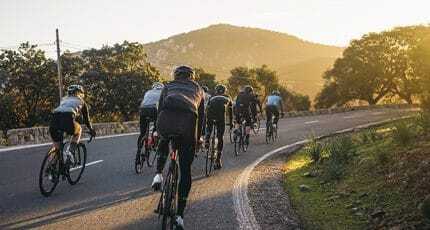 Across Mallorca, there are hotels that are geared specifically to cyclists, should you want to stay with like-minded travellers on your cycling holidays. Many are located in Alcúdia, Valldemossa, and Santa Ponsa. If you are interested in a higher-end hotel or private villa for more discreet and private holiday, abcMallorca offers a wide variety of luxury villas that can be rented directly on our website. We also feature a selection of the islands top hotels with great service and standards to suit your needs. Mallorca has no shortage of excellent accommodation. There are several cycling events throughout the year, drawing devoted fans and top athletes. 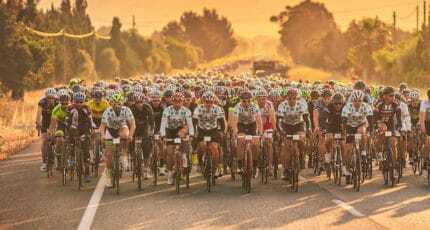 The largest and most well known is the Mallorca 312, in which cyclists are meant to ride 312 kilometres in 14 hours or under. Whether it’s madness or pure adrenaline, you’ll have to see it to decide. If you’ve come to Mallorca to push yourself and your cycling level one step further, there are several tour companies on Mallorca with professional cycling coaches who can help you train and improve your style. Ride with leading cyclists, discover new techniques and the latest trends, and the must-do cycling routes on the island. You don’t have to be training for the Tour de France either, companies like Sport Active and Yes, We Bike, offer beginning tours as well as advanced. 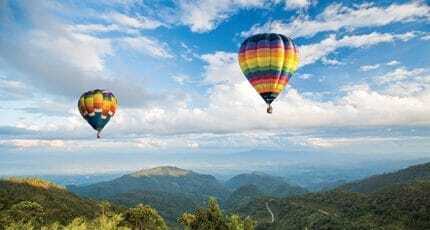 Many tour operators include airport pick up, transfers, and hotel accommodations in their pricing. Cycling on Mallorca is rewarding and inspiring. Peddling through the country roads near historic Alcúdia, cruising along steep coastal cliffs, or on challenging mountain roads in the heart of the Tramuntana Mountains, it’s time to transform your next Mallorcan holiday with some cycling. 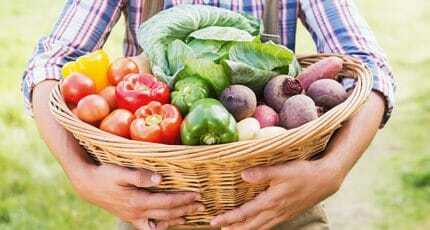 We hope you have found this article about the Cycling Holidays on Mallorca useful and that you have many memorable stays in Mallorca as a result of our recommendations.